Move in ready 3 bed, 2 bath home, all main floor living with attached 2 car garage! 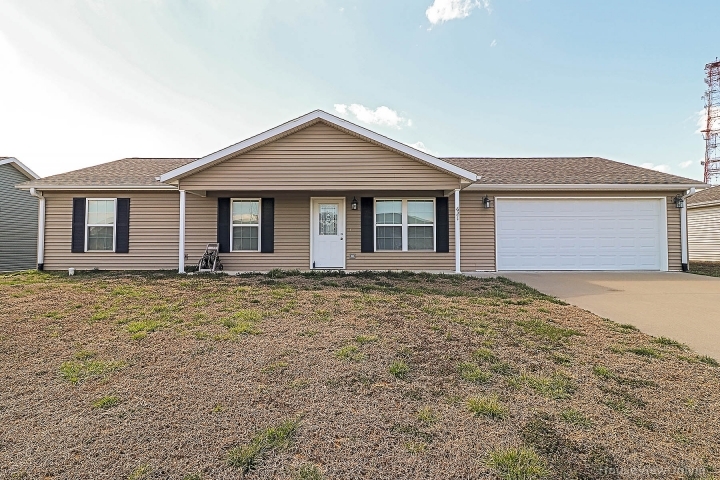 This adorable ranch home is only 4 years old and is ready and waiting for you! Covered front porch to enjoy your morning coffee or evening conversations. Enter the home to a open concept living, kitchen and dining. Kitchen/Dining has tile floor, plenty of counter space and cabinets, plus a full size pantry. There is a center island that can be moved. Off the kitchen/dining is a door leading to a nice sized flat yard. Hallway bath has tile floor, sink with storage and tub/shower combo. Master bedroom has carpet, ceiling fan, nice sized closest and a attached Master bath. Master bath has tile floor, sink with storage and tub/shower combo. Other 2 bedrooms have carpet and ample closest space. This cute home is close to I-55 and Jackson's newest elementary school. Don't miss out!